← Today’s watercolor: Happy Birthday! When I was in Tokyo recently I had a chance to drop in at one of my favorite coffee shops, Streamer Coffee. As much as I love Starbucks and their Cherry Blossom Lattes, one of my favorite things to do is check out little coffee shops in the city, especially ones that boast beautiful latte art! Streamer’s coffee is lovely and beautifully prepared, so I don’t usually bother with flavorings. The lattes on their own taste caramelly and rich. I do like to try the seasonal offerings when they come out though, as the syrups they do use tend to actually taste like the fruit they purport to represent. 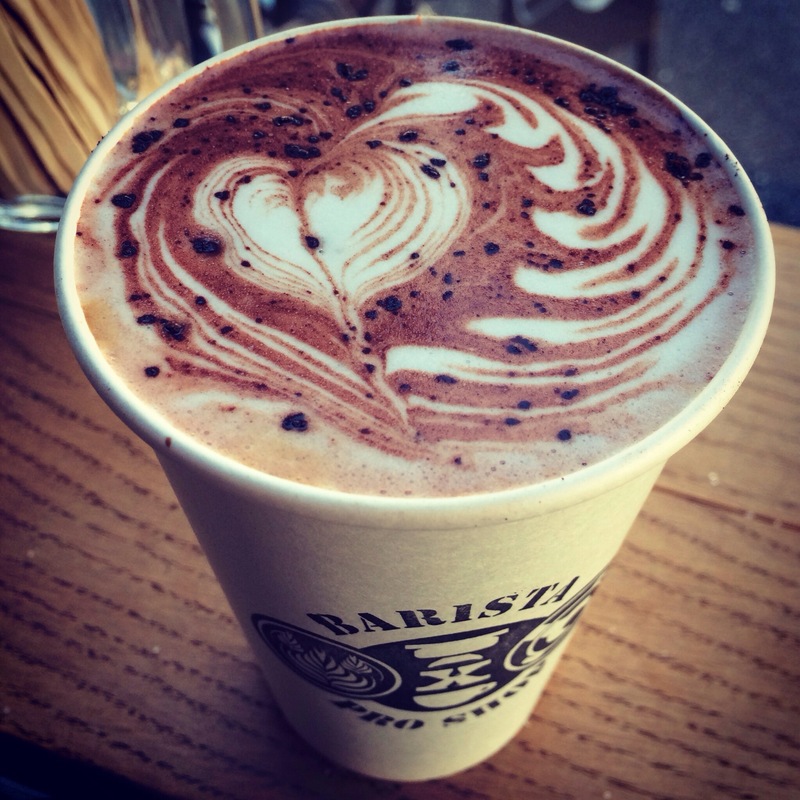 This was the Raspberry Mocha they had out for Valentine’s Day. Isn’t it pretty? Last time I tried the Blueberry Latte, and if I hadn’t enjoyed the raspberry mocha so much I probably wouldn’t have tried this. I expected something chemically, but it basically tasted like grandma’s pie in latte form. The really crazy one was the Military Latte that my friends decided to try. Green tea and white chocolate are combined with espresso and cocoa powder to make a camouflage colored beverage that the insurgents will surely never find. There’s a lot of camo colored treats at streamer, like the camo donuts available at the counter. It’s a house specialty! Here’s a little secret–I’m not the biggest fan of green tea flavor, and it’s kind of overdone here in Japan. A green tea ice cream can hit the spot on a hot summer’s day in Kyoto, but other than that I’d rather have it in actual tea form. I’m glad my friends tried this though so I could steal a sip! 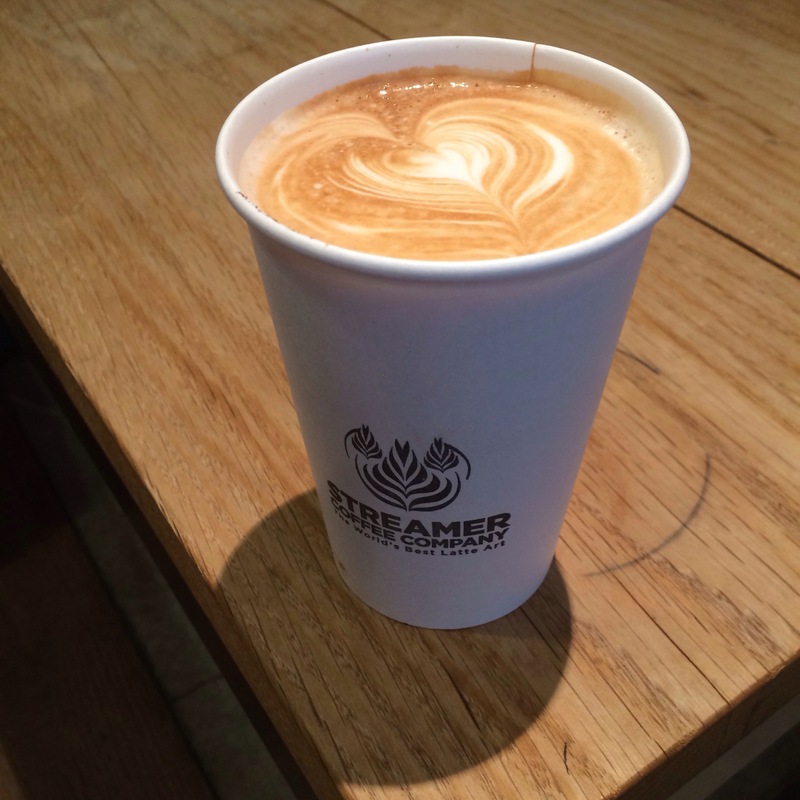 Have you been to Streamer Coffee? Which drink do you want to try? 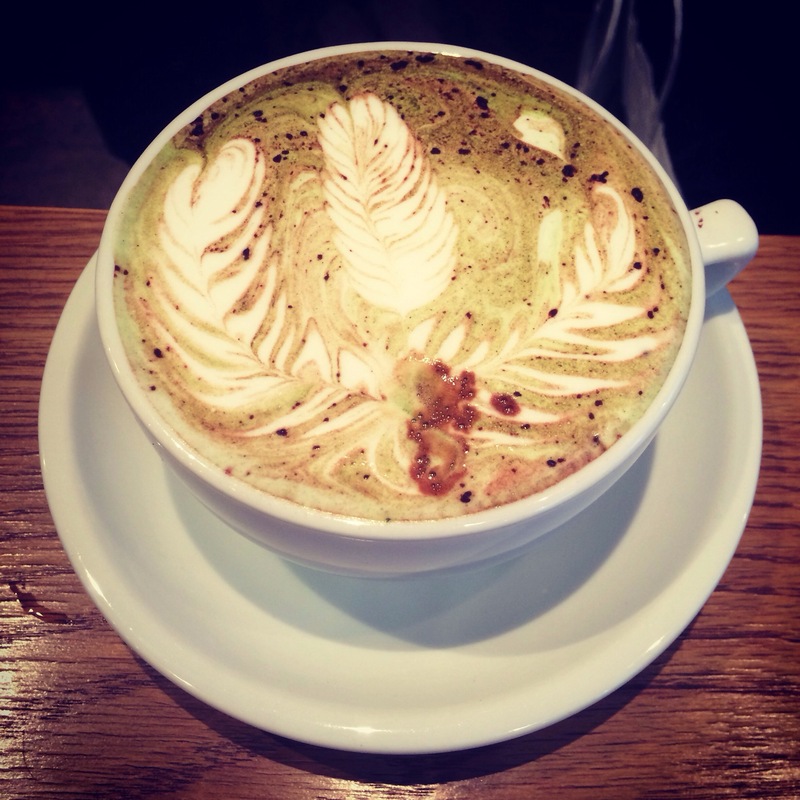 This entry was posted in Food!, Japan and tagged blueberry, cafe, coffee, green tea, Japan, latte art, matcha, military, military mocha, mocha, raspberry mocha, streamer, streamer coffee, tea, Tokyo, travel. Bookmark the permalink.